As you probably know, Apple’s iOS 8 will become available for users worldwide on September 17th. Ahead of the release for public, the guys from Cupertino have released a final beta version of iOS to developers for testing. The Gold Master seed contains several bug fixes and stability improvements that influence the efficiency of the new mobile operating system. 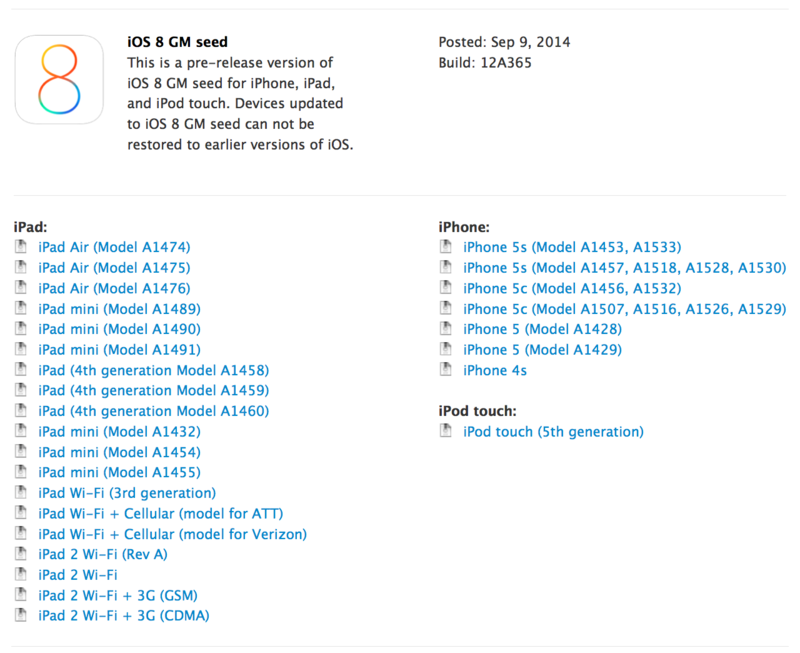 The latest (and the last) iOS 8 beta has a build number 12A365. In case you don’t know, iOS 8 can boast of a wide number of new features that include QuickType, Third-Party Keyboards, improvements to iCloud, Photos, Mail, Safari and other apps as well as the support of the Apple Watch and Healthbook. Of course, this is not the full list of enhancements and new features. 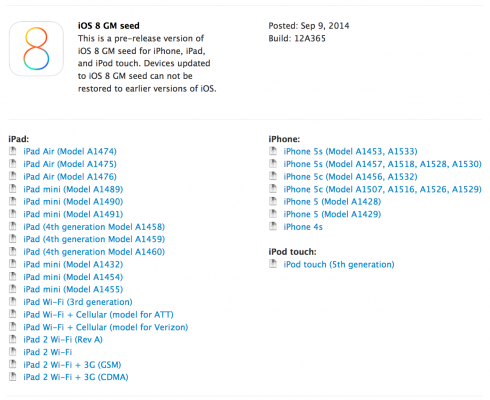 The full list will become available after the official public release of iOS 8, so stay tuned. If you have a developer account, you can download the final beta from Apple’s developer portal. If you don’t have an appropriate account, I suggest that you should wait until iOS 8 becomes available for public.